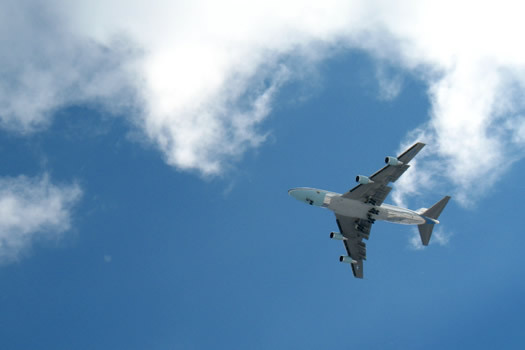 One of the pics we snapped as Air Force One flew in over Albany today. 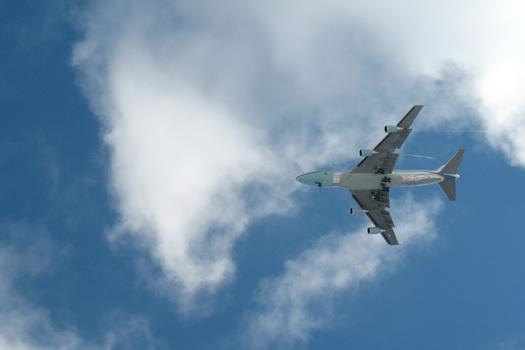 Noted: AF1 is a rather large airplane. Thanks for the photos. I was feeling a little left out of the whole visit as I was stuck in my office. 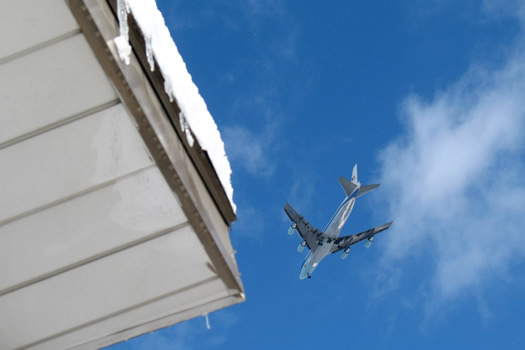 Cool... they flew over my house too, though not as low as the the incoming flights to Albany often do. 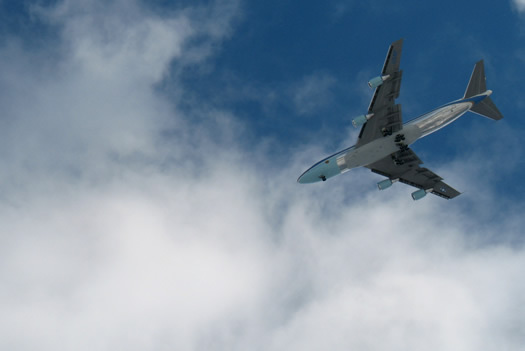 Actually Air Force One is not a specific plane. It is just a call sign. 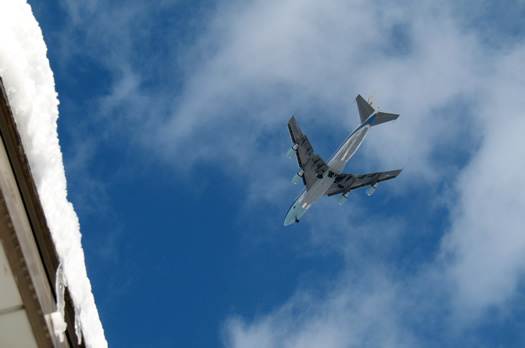 Any Air Force plane the President is on becomes Air Force One. Otherwise, when he is not on it, the regular call sign is used.